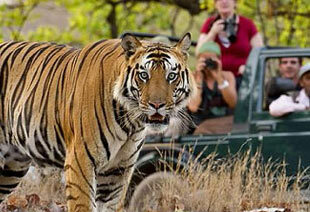 Taj Mahal with Tiger Tour is another most visited tour featuring Taj Mahal and Ranthambore in Rajasthan. Beginning with Delhi’s sightseeing; this tour trails through Agra along with the unique tour combination of Ranthambore National Park and Bharatpur Bird Sanctuary. On your arrival at Delhi airport, you will be met by our representatives and transferred to a hotel. Overnight at hotel. Breakfast at hotel. 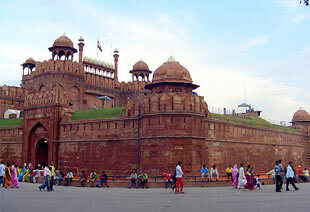 Later leave for full day guided sightseeing tour of Old Delhi. Visit the world-famous Red Fort, Jama Masjid, and enjoy an exciting Cycle Rickshaw ride at Chandni Chowk, the main shopping bazaar. Afternoon visit New Delhi, New Delhi is famous for its wide, tree-lined avenues, parks, skylines and historical monuments) including Presidential Estate, India Gate - a 42 m high stone memorial arch, the 12th century Qutub Minar, the mid-16th century Humayun's Tomb and the famous Lotus Temple in New Delhi. Overnight stay at the hotel in Delhi. Morning Transfer to New Delhi Station to catch train for Ranthambore. Arrive Ranthambhore in the afternoon. Ranthambore is one of the finest tiger reserves in India and considered the best place to spot a tiger in his own natural habitat. On arrival met at the station and transfer to wildlife Resort. Soon after lunch, you will be proceeding for afternoon safari, Evening free O/N stay at Wildlife Resort. Morning and afternoon safari inside the national park, to explore the rich Flora and Fauna of the Ranthambore National Park. Overnight stay at Wildlife Resort. After breakfast revisit the park again. Later drive to Bharatpur and check in at hotel. Bharatpur is one of the best bird sanctuary in the country. Upon arrival check into hotel. Morning visit the Bird Sanctuary. Cycle Rikshaw will be provided to explore the bird watching spots. Later proceed to Fatehpur Sikhri and see the old Mughal capital built by Emperor Akber still preserved in good condition. Drive further to Agra and check into hotel. Breakfast at hotel. 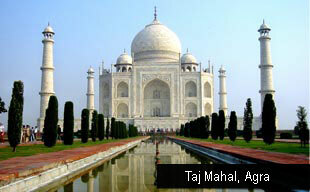 Visit Taj Mahal, the most beautiful and extravagant monument ever built in the world. Proceed further to the imposing magnificent Agra Fort, built by Mughal Emperor Akbar in 1565. In time drive to Delhi airport, enroute visit Sikandra Fort.